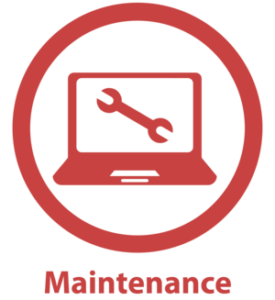 ProCare is Network Craze’s maintenance program developed with you in mind. Let’s face it – manufacturer’s maintenance programs are very expensive insurance policies. But, you have to have it. When you decide to take your chances would be the time the sprinklers go off in the data center or the time your admin decides it would be a good idea to drink his coffee over the switch he is configuring. ProCare is your proactive solution for your network outage concerns. It’s a cost-effective and customizable maintenance program that covers multi-vendor and multi-generational technologies to help you safeguard your network. Savings – ProCare is 50+ percent less than OEM maintenance programs. Global 24-Hour Access – Always have access to experts for technical support. Hardware Replacement Options – Find the best replacement options for you, including 2-hour, 4-hour and next business day. Multi-Generation Hardware Support – Including hardware declared to be at end-of-life by the manufacturer. Multi-Vendor Support – We can handle the coverage on all your equipment, no matter who the manufacturer is, all in one place. There’s no need to manage a different contract for each manufacturer. Flexible Contracts and Terms – You get to decide the length of your contract (month-to-month, yearly, multi-year, co-terminated, etc.) so you’re not locked into a one-size-fits-all contract term. Need support? Click here to submit a support ticket.